There are many reasons why people and families choose to have a bidet installed in their homes. Arguably some individuals prefer washing their bottoms and sensitive parts than using toilet paper either because they feel cleaner or are allergic to tissue papers. Luckily, there are plenty of bidets on the market that come with various features and qualities. If you are on the lookout for one, then you may want to give these three products a try as some say that these three bidets are some of the Best Non Electric Bidets on the market. The Brondell PureSpa Dual Temperature Warm Water Bidet promises proper cleaning and ease of installation. Many people want their bidet to hit the correct spot. 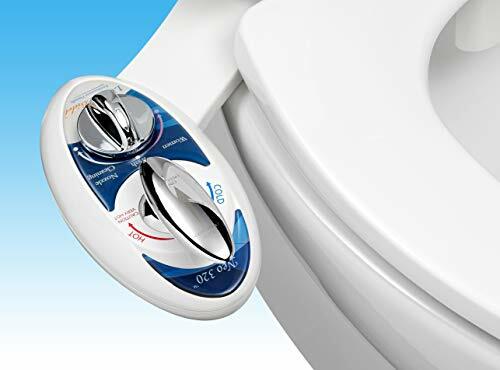 This non-electric bidet has an attachment that is fully adjustable so that it can fit various toilets and body types. Its nozzle can be adjusted to the user’s desired position during the installation process. Plus, the nozzle also has an automatic-retract feature so that it does not get in the way unless one needs to use it already. It is also self-cleaning. This product also boasts of having warm water pressure controls, intuitive control panel as well as backflow control mechanism. The product maker promises that users will be able to install the bidet easily. The bidet measures 16.8 by 10.5 by 1.5 inches and weighs 13.4 ounces. The package comes with the bidet attachment and hose that is made from flexible braided metal, a flex tubing measuring six-foot for hot water connection, two t-valves made from metal and an instruction guide. 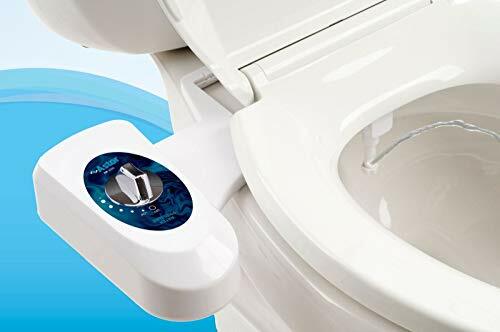 ​This non-electric bidet boasts of having a ceramic core internal valve, and a patented Unibody construction by the product maker to ensure safety and guarantee zero leaks. The ceramic core internal valve is meant to withstand strong water pressure while the Unibody means that there are few parts used in the bidet to minimize leaking or failure. ​​The Brondell PureSpa Dual Temperature Warm Water Bidet has no internal water heating, therefore, must be connected to a hot water line. The Astor Bidet Fresh Water Spray promises ease of use and best cleaning. The product manufacturer claims that this product is made from premium quality materials and can be installed in just ten to twenty minutes. This bidet has a control dial to adjust the pressure from low to high depending on the preference of the user. It measures 17.8 by 8.1 by 4 inches and weighs 1.9 pounds. 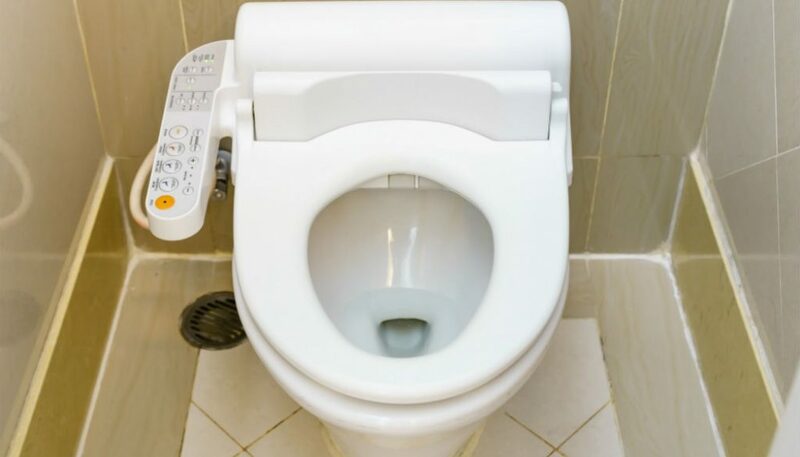 The product maker claims that this bidet has an unobtrusive design which lets users mount the item in between the toilet seat and rim easily. It has mounting bars for adjustment and alignment of the holes and the toilet cover. ​This mechanical bidet uses 100% brass for all the internal valves for long durability as well as high-grade plastic to eliminate rusting and leaks. ​​Regarding on the plastic valve that is attached to toilet leaks, the plastic valve is not that durable. The Luxe Bidet Neo 320 promises quality construction, ease of use and adequate cleaning. The bidet attachment is made from durable and quality materials. It has a high-pressure valve made from ceramic core and metal. The hot water hose is constructed from durable polyurethane, which users can trim easily using a knife to fit the bathroom perfectly. The cold water hose is made from braided steel. The product maker promises an easy installation as the package comes complete with all the needed tools. One can easily connect the bidet to the hot water supply. This product can also be easily detached to and from any standard two-piece toilet. The bidet measures 13.5 by seven by three inches and weighs 2.1 pounds. ​This product boasts of having dual nozzles for a frontal and rear wash. The front wash has gentler spray than the rear one. 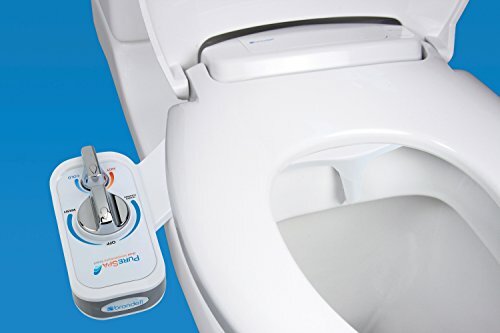 This mechanical bidet has a self-cleaning mechanism and retracts automatically when not being used. It also has a nozzle guard gate that is movable. ​​Spray nozzle body is wide and can protrude past toilet seat. All three products promise to be the best non electric bidet on the market as they offer convenience, easy installation, proper sanitation, and quick and adequate cleaning. Of all three products reviewed, one can say that the Luxe Bidet Neo 320 stands out because of its many features. This product gives the users the options to use hot and cold water. Plus, it has the dual nozzle feature that the two other mechanical bidet does not offer. This feature makes it a better product than the two others. Plus, the manufacturer of this deluxe bidet offers 18 months warranty and customer support, two add-ons that the manufacturers of the Brondell PureSpa Dual Temperature Warm Water Bidet and Astor Bidet Fresh Water Spray do not provide. We definitely need that bidet attachment because it is fully adjustable. And I think Brondell can do the job just fine. When I looked at the pros I really think that it has a good quality price ratio. Do you think it is any good? If not, could you recommend one which also has an adjustable bidet attachment? The Brondell will do the job just fine based on your needs. Totally new to the bidet scene…but wanted to try one out for a long time. These non electric units are right in the sweet price spot for me. The only concern I have is that our water system has somewhat low pressure. I’m assuming that if there is enough pressure for my shower, there is enough pressure for a bidet? Going with the Neo 320 is definitely the best option, especially with all the features and benefits it has to offer. As long as your water pressure is strong enough to power your shower, you should have no problems with getting good pressure to your bidet as well. This is crazy! I thought these only existed in Japan or something. I’m surprisingly more interested that I feel like I should be. I feel like people would want to come over to my house just to use it. I’ll have to check one of these out! Is there a guide as to which toilets these will fit? Hey Ryan, this guide should help you out. I can remember when I was a young girl, visiting my Great Uncle in France along with my Grandad. He came out of the loo and marvelled at the amazing foot washer in the bathroom. My uncle was aghast and proceeded to tell Grandad exactly what the ‘foot washer’ should be used for. At the time, I thought it was a brilliant idea for washing your feet, as well as your behind! We’re looking to install a bidet here in the UK and these look to be just the job. I just hope we can buy one of these types of bidets here. I didn’t know you could fit a bidet to an existing toilet, I thought we needed to buy a dedicated unit! Thanks for the review and for educating me! This looks like a great product and a good alternative too toilet paper! I’ve used bidets on my travels before, but they’re pretty unusual here in the UK. I can certainly see the benefits though, I can see why you might feel cleaner. All the settings it has are very clever – looks like you can really tailor it to what you want. You know I was always curious as to why people would prefer a Bidet over a standard toilet. I am glad that you identified the top two reasons allergic to toilet paper and hygiene. It does make sense. Toilet paper is a very 20th century invention. It is great that there are a variety of products available on the market now to suit everyone. As the population ages products like these will move from being a luxury item to a standard extra in every modern bathroom. Thanks for sharing. Awesome! Glad to help you out Glenys. Man, until I read your post I had no idea there were heated bidets that attach to the toilet! My husband purchased and installed a Luxe bidet for our toilet, but the water is so cold coming out of the tank that I refuse to use it! A warm bidet would make the difference for me. I am not sure how we could hook one up since there isn’t a hot water line except in the sink and tub. Any suggestions? I think the best choice is the Brondell Pure Spa, because the other choices just had cons that I really don’t want to consider. I think this is a great choice, because for me taking out the existing toilet to replace with a bidet is not feasible. My house is too old, and the plumbing and wiring would not work. So this is a great option. Thank you!